Rogers retreats to a bluesy strain of twangy singer-songwriter fare on this studio effort. If there was any doubt that the 10-year veterans of the Randy Rogers Band could incite a club filled with well-oiled partiers with its rollicking country, 2014’s double Homemade Tamales: Live at Floores, put that to rest. Captured in their home state of Texas, the group tore into their twangy roots rock with bro-country energy, inciting a clearly enthusiastic — arguably overly so — room of fans to kick up their cowboy boots as they tip back one too many drinks to Rogers and his outfit’s tight, tough tunes. For better or worse, that recording caught every whoop, holler and yahoo, prodded by the usual, some might say corny “how you feeling out there?” prompts from Rogers. With that out of his system, Rogers retreats to a less strident, far more measured, bluesy strain of twangy singer-songwriter fare on this studio follow up. All but one track is under four minutes and most showcase Rogers’ sensitive side. Somewhere between the ballads of Bob Seger and the Eagles (“Tequila Eyes” seems influenced by “Tequila Sunrise” as does the light strum rhythm of “Meet Me Tonight”), the effect is occasionally overly slick and sentimental (“Old Moon New”), but generally finds its target. That’s especially true in the opening fiddle-propelled “San Antone,” sure to be included on a Rogers’ Greatest Hits album, whenever that arrives. He knows his way around a honky-tonk slow one too as he proves with the witty wordplay of the waltz-timed self-descriptive closer “Pour One For The Poor One.” There’s a Kris Kristofferson feel to “Look Out Yonder” which hews a little too closely to “The Pilgrim: Chapter 33,” although guest Alison Krauss adds sweet sophistication as she does to anything she is involved with. The few upbeat selections are less successful even when Jerry Jeff Walker stops by for a by-the-Chuck Berry-numbers “Taking It As It Comes.” The track is as clichéd as its title with lyrics “I’m just sitting back here/ Getting high and drinking beer” that seem written only to be included in his raucous live set. Generally though, introspective, easily melodic pieces such as “Things I Need To Quit,” (sung about an old flame) find Rogers working well-worn territory with wit and talent. Rogers’ everyman, blue collar voice and routinely rootsy musical approach isn’t distinctive enough to elevate him into major star status. 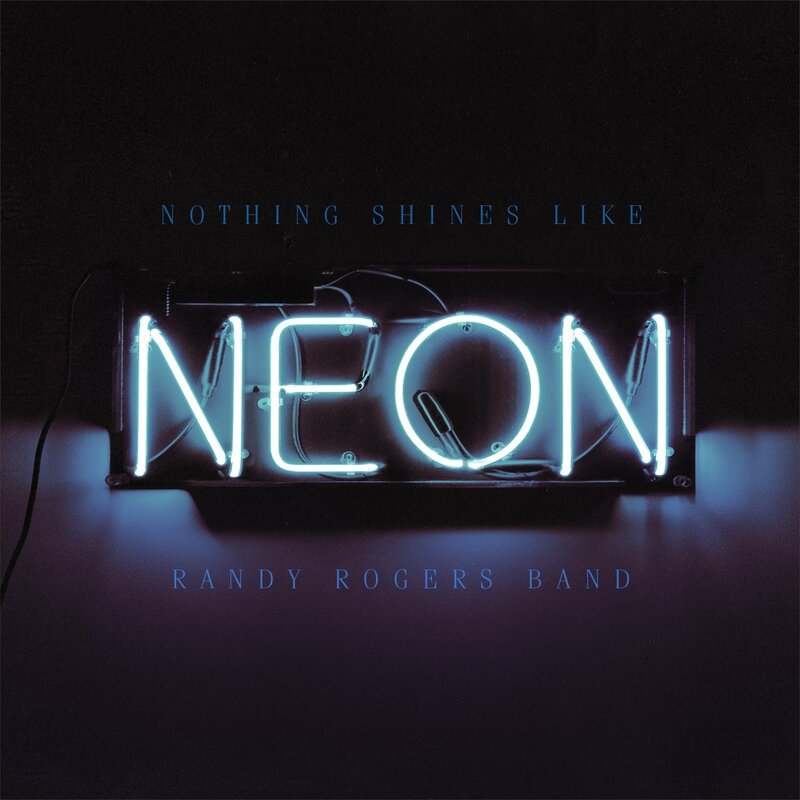 But we already know how effectively he can light up a crowd and on the majority of Nothing Shines Like Neon, Randy Rogers displays a polished flair for largely inspired, solid songwriting that can keep his career alive as long as he churns out music this catchy and sharply tuned.